IMO2020 will be less worrisome than originally thought. Image Credit: Ship & Bunker. IMO2020 is going to be "challenging but manageable", according to IEA’s head of oil markets, Neil Atkinson. 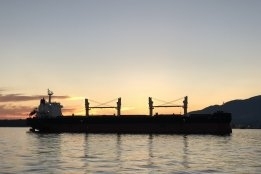 An uptick in marine’s uptake of scrubbers along with lower than previously expected distillate demand from land are two key factors contributing to the more positive outlook. "The regulations are going to come in next year, and they are not going to be as worrisome for the shipping and, indeed, the refining industries as we thought they might be," he told Lloydslist is a podcast released ahead of IP Week. And while there could still be a shortfall of MGO come 2020, Atkinson believes it is not likely to be dramatic. As for the impact of scrubber, the latest numbers from Clarksons indicate 1,698 vessels - 4% by number, or 10% by tonnage - will have a scrubber installed by 2020, and IEA predicts this will now equate to around 600,000-700,000 barrels per day of heavy fuel oil demand in 2020. This is around half of its most recent estimates from last year that predicted HFO would continue to account for 1.29 mb/d of 4 mb/d of total demand.